Silk Road Project initiated by Yo-Yo Ma to share art and education across the world. 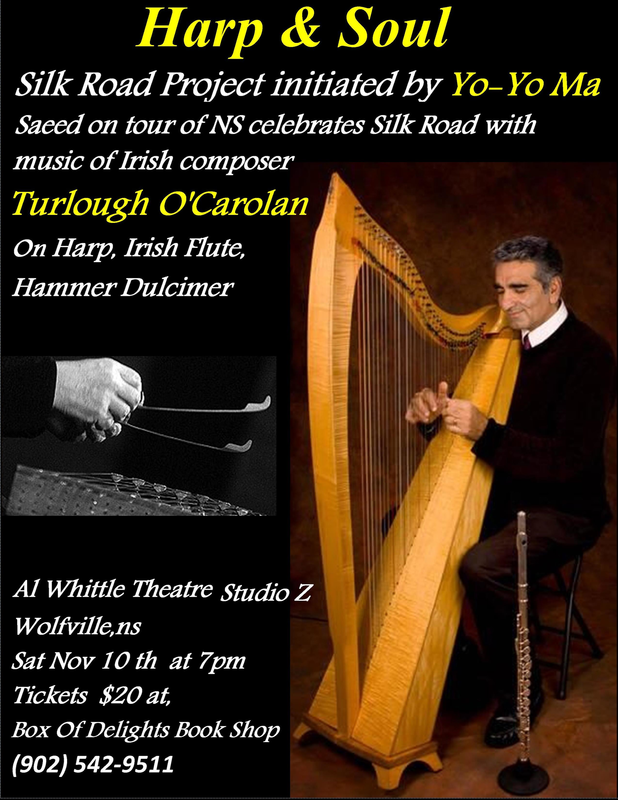 Saeed is touring NS to celebrates Silk Road Project initiated by Yo-Yo Ma to share art and education across the Provence with music of “Turlough O'Carolan” (1670-1738) O'Carolan was a blind Gaelic harper, composer, and singer whose great fame is due to his gift for melodic composition. 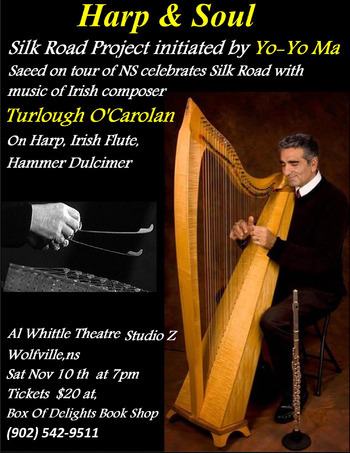 He was the last great Gaelic harp.